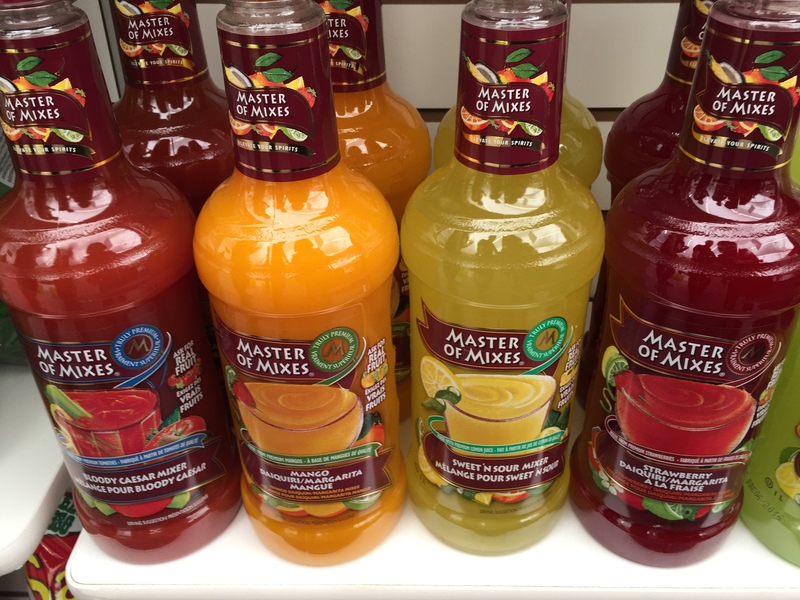 At the last Grocery and Specialty Food West 2015 Trade Show I was introduced to a product called Master of Mixes – a ready-made cocktail mix that contains premium juices and natural sweeteners. I loved the product, tasted it and experimented with it myself; and was impressed by the quality of it. Turns out that the company that represents Master of Mixes, Tree of Life Canada, is one of the largest distributors of specialty and natural foods in Canada and they represent many premium brands, like Bottle Green Drinks, Angostura Bitters and Efferve. As an amateur mixologist, I took on the challenge to mix drinks with as many Tree of Life brands as I could. 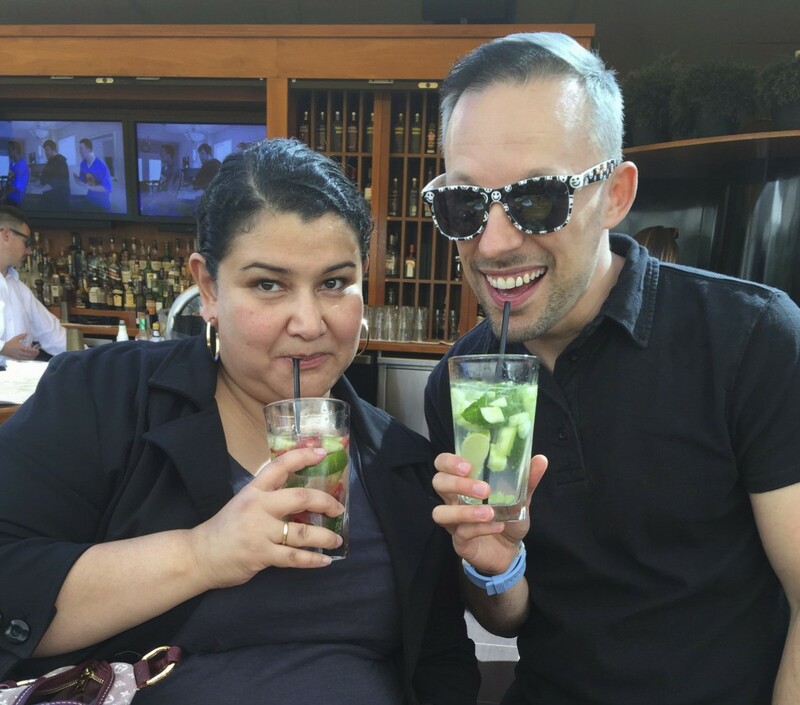 I recruited my good friend and fellow cocktail aficionado Josh Rimer to help me taste test some of my creations. Hard job, I know. (If you’re here for the contest info, I’m getting to that. Trust me, it’s worth the wait). I decided to start with an easy-to-make summer cocktail. A Gin Gimlet. A traditional Gimlet has gin, lime juice and soda. 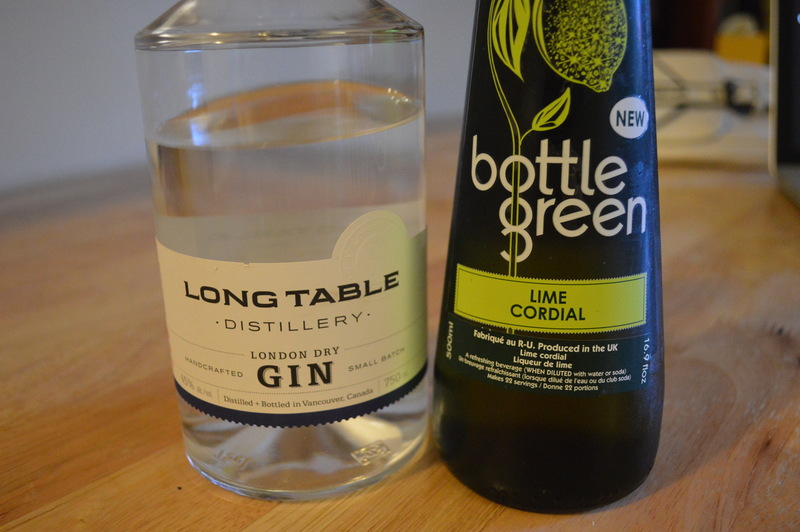 I decided to go for something a tad sweeter and use Bottle Green’s Lime Cordial and the London Dry gin from Long Table Distillery. Both of these products are exceptional. I’m a big fan of Long Table, their gins are made in small batches using only the best botanicals. It’s also affordable and local too! The result was my new favourite drink: The Green Table Ginni. This drink is as strong as it is tasty. Mix all the ingredients on a shaker full of ice. 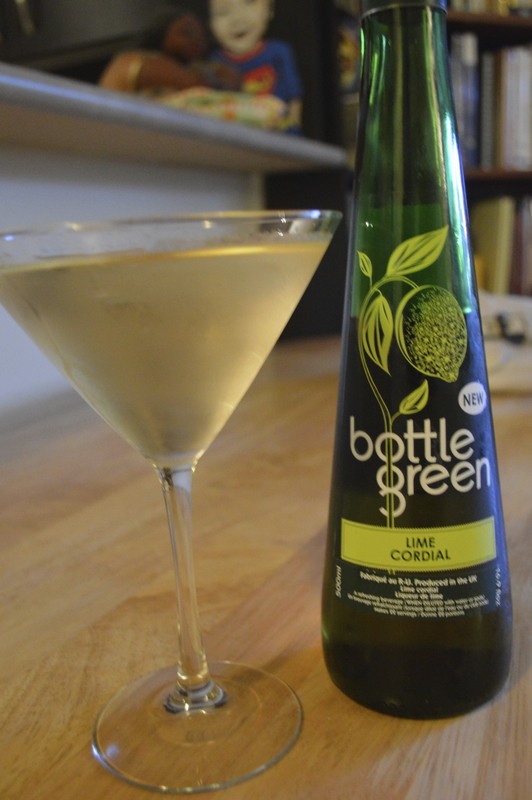 Shake and serve on a chilled martini glass. That’s right, A MASTER OF MIXES BAR. 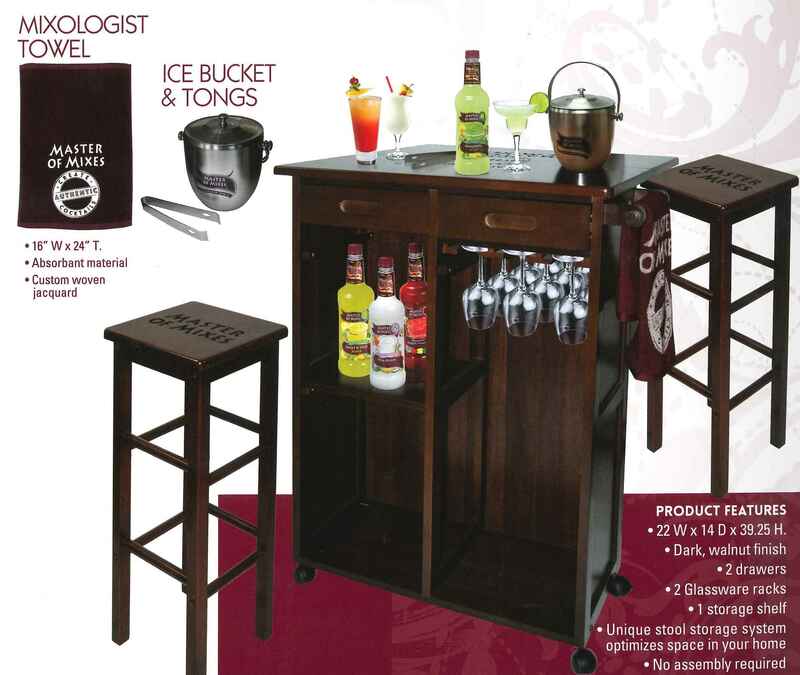 Complete with stools, mixology towel, even an ice bucket and tongs. How do you enter to win this beauty? Easy, follow this link: a Rafflecopter giveaway. Good luck! Winner will be announced on August 29th, 2015 at 5pm. I love a nice refreshing Gin and Tonic! When it’s really hot, I like spritzers or sparkling wine cocktails. I love a bellini on a hot day! Chocolate Martinis are my face on a summer’s eve, but I’d love to try some of these new options! I call it a wet nap. Its in a shot glass . Anything strawberry, peach, or Mango. mojitos, martinis, bellinis … love them all! I love a fresh lemonade. Is beer a cocktail? I guess I’d say Sangria and Long Island Iced Tea. My “go to” is a strong G & T !! (PS: I entered using my email, and it says I have 0 entries. I don’t, (& won’t) use twitter. My all-time favorite summer cocktail is a Pina Colada! I love slushie peach bellinis. I like fun fruit filled drinks, Bellini’s are one of my favourites. my favorite summer drink is a peach slurpee and Malibu! this looks like such a delicious drink ! i want one haha !